This is awesome! What software do you use for your watermarking? I love it and I just can't get mine to look as nice. Gorgeous! But my first connection was Superwoman, hahaha! So lovely! I love the flags meaning as well! Who'da thunk it? I do have to say that one of the things that I liked about moving to AZ was having a super cool state flag. I'm from TX so that flag is pretty cool too. But some states have some real fuggo flags. 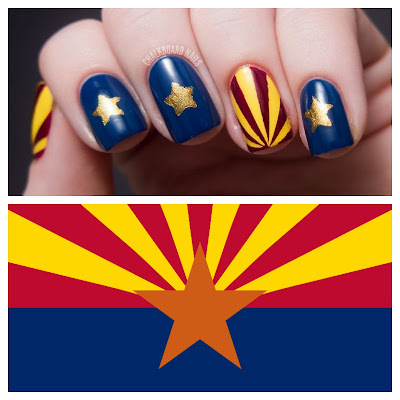 Where do you live in AZ. P.s. 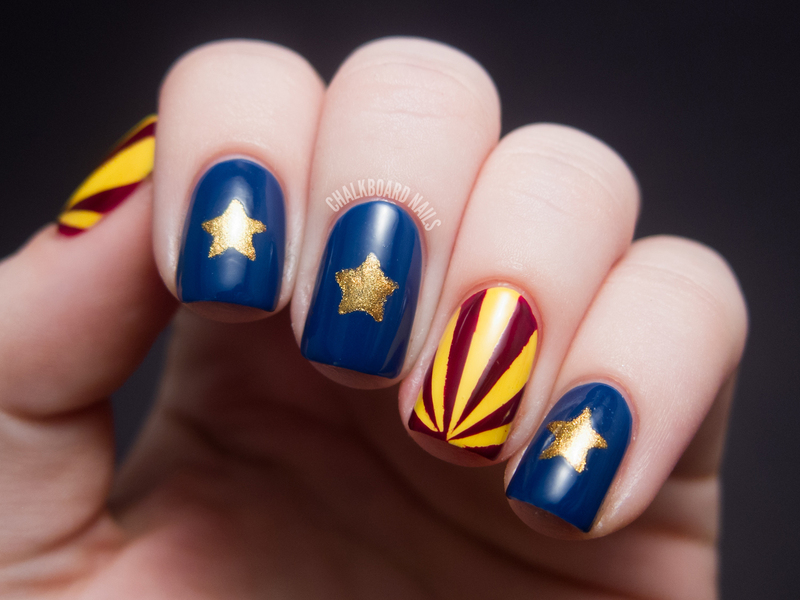 : Great mani!! That's so pretty! Yeah, I also thought this was a super hero inspired! You did it so beautifully! 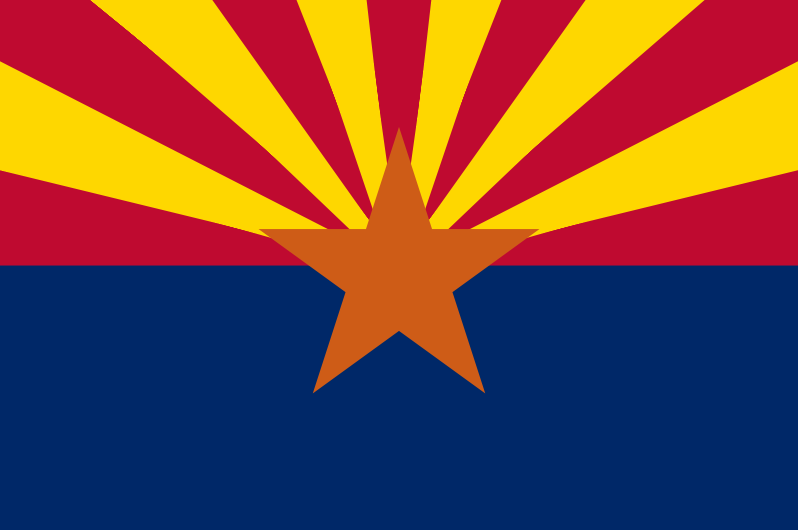 I have lived in Arizona since I was 5 years old and had no idea what the flag's colors stood for! How cool! 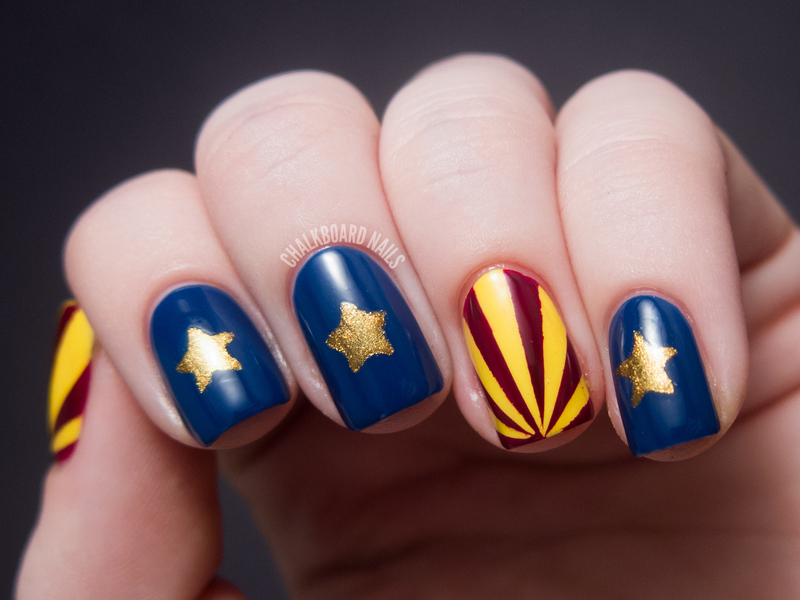 I love living here, I instantly recognized the nails and it brought a smile to my face! i love this! especially the stars! 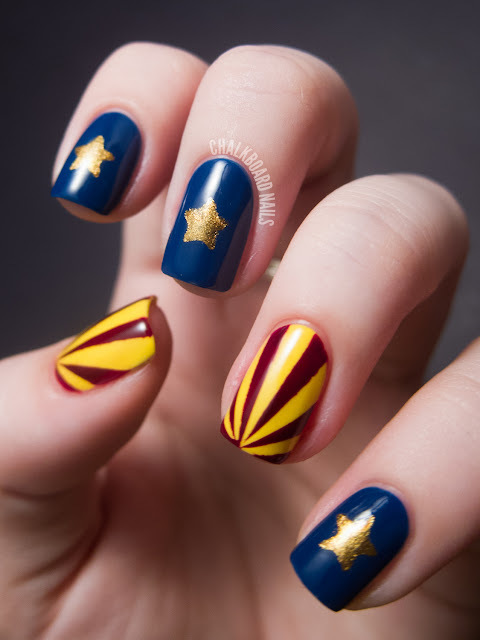 This reminds me of wonder woman :) I love it! 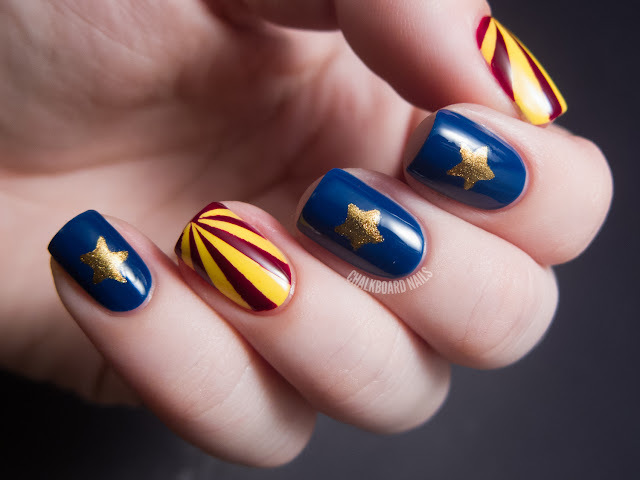 I thought it was a circus themed design at first glance. Super fun either way. Somehow this reminds meof Superwoman! 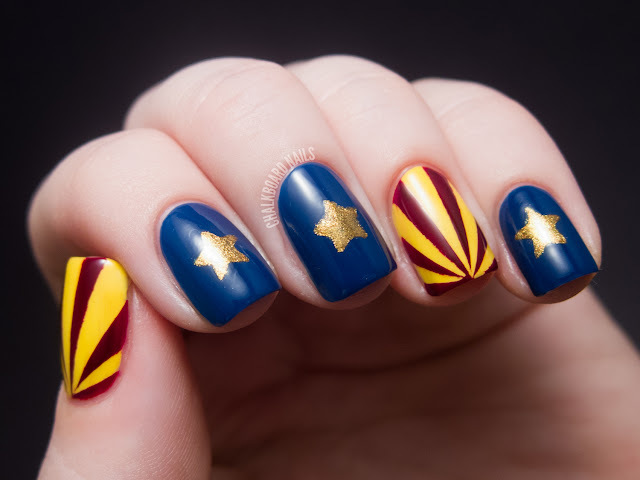 As a resident of AZ, I think they're wonderful. I wish I'd seen this before our Centennial celebration.